We would love for your fellow cyclists to support their local Hospices in this world class festival of cycling and make their miles go even further by fundraising for WSBHospices. 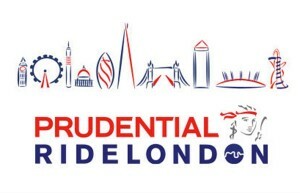 As you know the Prudential Ride London-Surrey 100 takes place on Sunday 31st July, with 25,000 thousand cyclists embarking on the 100 mile ride, passing London’s iconic landmarks, through the rolling Surrey Hills and even Sam Beare Hospice. 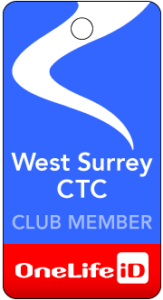 In order to secure a WSBHospice charity place the suggested sponsorship is £600, which goes towards the vital services we offer to patients and their families living with a life limiting illness in Surrey. To apply, please visit our website www.wsbhospices.co.uk/ridelondon. By being a part of ‘Team WSB’ you will receive full fundraising advice and guidance and a WSB branded cycling jersey. Lucky or unlucky in the ballot, riding for #TeamWSB will make a big difference to our patients who we care for in the local area. In addition to the annual running costs of £8.8million, the Hospices also need to raise £3.4million as part of their New Build Appeal. This is for the new Woking Hospice being built in Goldsworth Park, and development of Sam Beare Hospice in Weybridge. All of their 20 in-patient beds will be located at the new Woking Hospice site, along with a new, much expanded Day Hospice. Sam Beare Hospice will be converted into a truly state-of-the-art Wellbeing Centre, offering a huge range of therapy treatments to many more local people. Together, these two new homes will help provide a much-improved, flexible model of hospice care, enabling the Hospices to better support each individual patient and their needs, both now and for generations to come. Therefore, I would be very grateful if you could please pass on this message to your fellow club members who are keen to secure a place in this event for Woking & Sam Beare Hospices. If you have any questions, please feel free to get in touch.